Novak Djokovic reached the fourth round of the 2019 Miami Open after a hard-fought 7-5, 4-6, 6-1 win over Federico Delbonis at Hard Rock Stadium on Sunday. The world No. 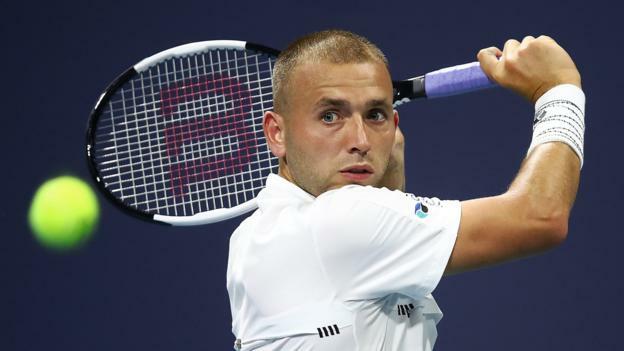 1 has advanced to face Roberto Bautista Agut after the Spaniard saw off Fabio Fognini 6-4, 6-4. Agut now takes up the challenge of preventing Djokovic from winning a seventh Miami title. "The Serbian was frustrated at losing serve and when he returned to his court-side seat he had a heated exchange with the umpire. Djokovic claimed the Hard Rock Stadium - a new venue for the Miami Open this year - was too dark." Djokovic is said to have told the umpire "I am not going to play in this dark." Prior to the intense exchange, Djokovic had raced into a 5-2 lead in the opening set, thanks largely to securing the first break point of the match. Delbonis roared back, though, breaking the Djokovic serve to close to 5-4 and having the chance to even the set. Woah this level from Delbo. To his credit, the decorated 31-year-old staged a timely comeback, with another break proving crucial. A costly double-fault undid Delbonis' final service game of the set. The late collapse appeared to dent his confidence, as Delbonis struggled to handle the range of shots Djokovic produced at the start of the second set. 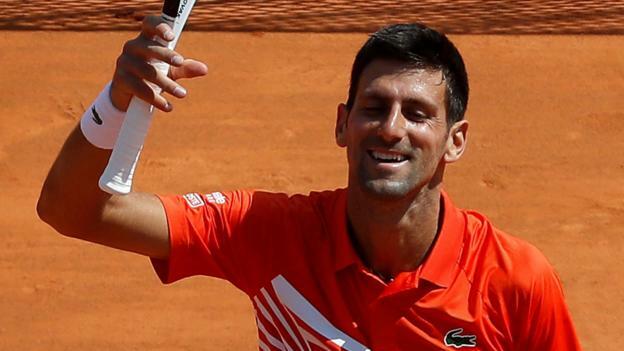 Djokovic was soon 3-1 ahead, but it was the cue for another spirited fightback from Delbonis. The 28-year-old broke for 3-2, then held his serve to level the set. It was 4-3 after another Delbonis break, with Djokovic beginning to look fatigued ahead of a possible third set. A fourth win in a row made a third set seem inevitable, and it duly arrived even after Djokovic had claimed a game back. Delbonis was making the most of his shots against an opponent suddenly struggling to find his range. Federico Delbonis playing like 1969 Rod Laver to take the second set against Novak Djokovic. He appeared on the ropes, but Djokovic soon broke for a 3-1 lead in the third. A 4-1 deficit left Delbonis under pressure to produce a third straight emphatic fightback. It wasn't on the cards, as Djokovic moved 5-1 in front and proceeded to serve out the match. He'll have to play better in subsequent rounds, but the man who last won this tournament in 2016 still looks a lock to be involved in the final reckoning this year.